As they say, there isn’t anything in the world that isn’t on the iPhone or won’t be there someday. It will be interesting to see the limits, but a new one being broken is kids book adventures for the tiny screen. We’ve been testing four titles from my daughter and son’s favorite book titles and have their review here. Hadley’s Review (age 9): These games are very entertaining if you’re sitting around being bored. The only bad part about the I Spy game is that, unlike the books, it is very hard to see things on your tiny iphone screen,otherwise this game is good for ages 6 and up. I thought Word Girl was boring. I didn’t like 39 Clues, though I like the books. Paul’s review: I agree with Hadley, but even more so. For adult eyes, the I Spy games are a bit hard to play. While I Spy preserves has a lot of the good parts from the books and software, the iPhone app is almost too small for one person, let alone playing together which is most of the fun of iSpy. My daughter just ran to get an I Spy book so she could see the bigger image to solve one of the riddles. Note that these are familiar illustrations and puzzles that you will find in the books. This might be a good thing since they are hard to see. 39 Clues is really a maze puzzle with less educational content. There are additional pieces that fill in parts of the 39 Clues story, but they won’t make sense if you haven’t read the books. Word Girl tells VERY simple stories in simple illustration form, asking kids to choose between three vocabulary words to finish the sentence. The announcer voice is painfully bad, and the stories are pretty shallow, but each game has a simple video game that might entertain little kids. 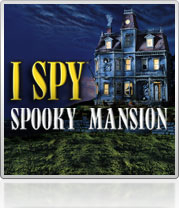 I SPY Spooky Mansion: Takes players on a hidden object adventure through a scary and mysterious mansion where the only escape is to collect keys by solving classic I SPY riddles and puzzles. THE 39 CLUES Madrigal Maze: Solve a mystery that spans the world and history! Based on the best-selling multimedia program by Scholastic, The 39 Clues Madrigal Maze app takes players on a training mission to solve a series of 39 mazes and become a member of a top secret organization in the hunt for The 39 Clues. 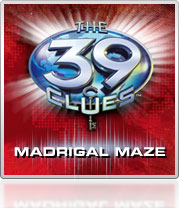 Players who accept the challenge and succeed will unlock exclusive access to a secret Madrigal Encryption Key on www.the39clues.com. 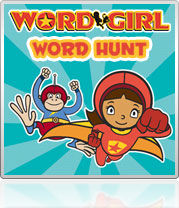 WORDGIRL Word Hunt: Behind every good hero is a good word! Based on the Emmy award-winning television series from Scholastic, the WordGirl Word Hunt app takes budding superheroes on an action-packed adventure to help WordGirl save the city from villains by using vocabulary words. Featuring favorite characters from the TV show that airs Monday through Friday on PBS KIDS GO! and online at pbskidsgo.org, players will save the day while learning over 100 word definitions in 40 rounds of crime-fighting gameplay. The apps are available for either $1.99 or $3.99 from the App Store on iPhone and iPod touch or at www.itunes.com/appstore/.